She definitely caught on to a theme. And that pile didn’t even include the Justice League and Batman v Superman discs that were also on the stand. Or the many other DVDs/Blu-rays I keep in a folder. She continued to bring me things scattered throughout the room. I would call myself a streamer, not a cord cutter and yes, there is a difference. To me, if you are a true cord cutter, then you live life with just a internet connection or maybe the basic Netflix package. That’s it. Streamers don’t spend money on traditional cable packages, instead subscribing to many different platforms. Let’s start with the most essential subscriptions first, the ones that I will never consider canceling: Netflix, Amazon and Hulu. The trickiest one for me to put in some sort of category is Amazon Prime because it has so much value beyond just what you get with Prime Video. What I decided to do is take the yearly cost of 120 dollars and divide that by 12 to get the grand total of 10 dollars a month. Sound good? That puts Netflix and Hulu as my super must-haves. So for Netflix, Hulu and Amazon Prime, I am paying just 38 dollars a month and you could arguably watch anything you really wanted to at that price. If those services are my top three choices, the next has to be DC Universe. I couldn’t imagine life without it at this point. It provides so much content all the time that can’t possibly all be consumed. 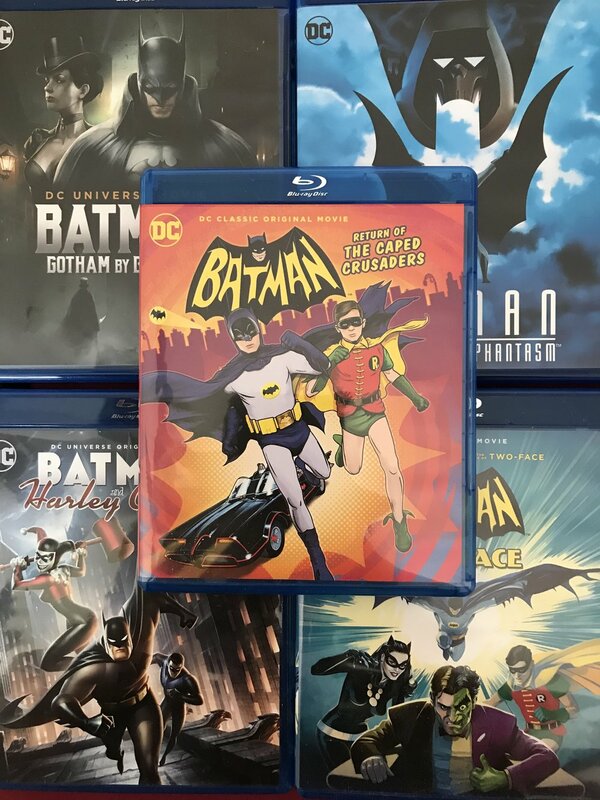 Not only do you get classics like Batman the Animated Series, but also new original content like Titans and the upcoming Doom Patrol with much more to come. I signed up for the promotional rate of $75 dollars for 15 months, which was a crazy no-brainer. It comes out to a whopping five dollars a month. As I often explain on the podcast, I’m a new comic book fan which makes a subscription to DCU mean even more. I probably read about 30 dollars worth of comics a month. For me, that’s an amazing value. That brings my monthly total up to 43 bucks a month with some services still remaining. With my top-tier services out of the way, there are still several more that can get my hard-earned money each month. To me, all of these services are easily interchangeable and I can come and go as I please. HBO Now is in this category for me. It’s a crazy $15 a month and I wouldn’t usually pay for it consistently. I also have CBS All Access for six dollars a month. But you can pay $10 for no commercials and the ability to download shows. During the TV season, CBS All Access really shines because you can watch all of CBS’s programming right away. I was going to cancel it at the end of the current TV season, but I’m looking forward to The Twilight Zone so I’m keeping it around. Additionally, I subscribe to ESPN+ at five dollars a month for no real reason other than I enjoy all of the 30 for 30 films and they’re all available. Plus, you get access to a ton of sports. Including those second-tier services, I am now up to 69 dollars. That gives me all the crazy content I could ever want for less than $75. I’ll add another $10 to my monthly total when the Disney+ service launches later this year. Disney has already announced several shows for the service and it will include all of the Marvel and Pixar movies as well. For someone with a three-year-old, that’s a no brainer and will save me from having to buy the movies. All of this puts my grand total at $79 per month. Obviously, it could be cheaper for you depending what services you decide are most important. That’s the great thing about streaming — no contracts — and you can subscribe to various services at different points of the year. Hopefully, my example helps you decide how you can manage your subscription life.